He is the new sensation. Easily one of the best strikers in the world at this moment. Scored the iconic goal that clinched the English premier league title in 2012 in favour of Manchester city. These exclusive Sergio Aguero special Drak ivory chocolate bars, brought to you by Flaberry.com are up for grabs. He is the new sensation. Easily one of the best strikers in the world at this moment. Scored the iconic goal that clinched the English premier league title in 2012 in favour of Manchester city. 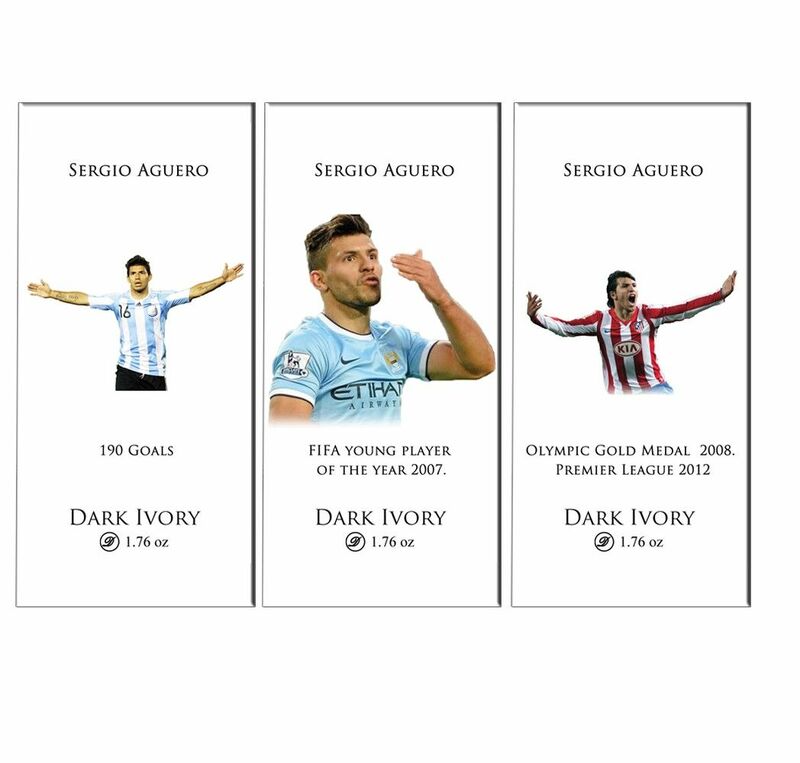 These exclusive Sergio Aguero special Drak ivory chocolate bars, brought to you by Flaberry.com are up for grabs.